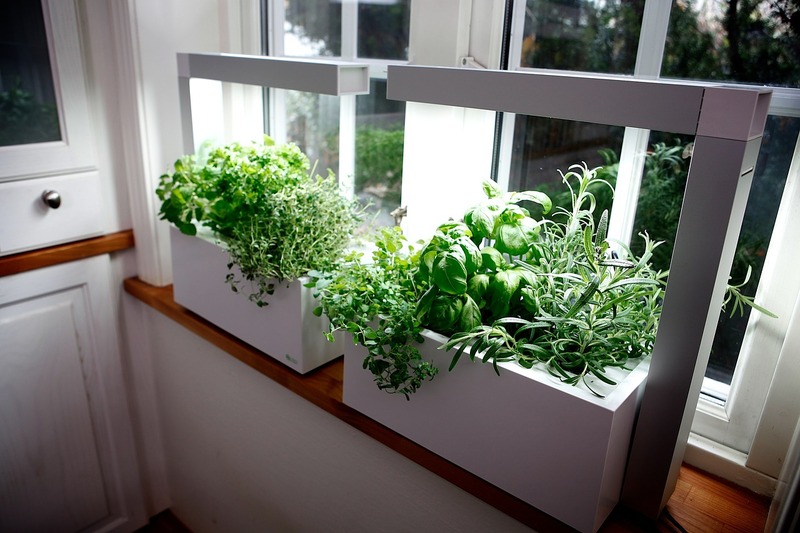 People who need an indoor herb garden include: those who love to cook, those who love to garden, have green thumbs and live in apartments or condos, and those who want to live with healthy, oxygen producing plants within close proximity. Some herbs that do well indoors include: Basil, Bay, Chervil, Chives, Oregano, Parsley, Rosemary, Sage, Tarragon, and Thyme. Setting up an indoor herb garden can be quite easy and rewarding. Herbs are easy to access when they’re right on your windowsill. It is easier to control environmental factors such as temperature, lighting, and humidity than when growing outdoors. Adequate sunlight is important. Ideally, southern exposure with 8 hours of sunlight per day. If you do not get enough sunlight, you can use growlights, which provide the full spectrum light that plants require. Alternatively, flourescent lights can be used which must be placed close to the plants. There are kits available that provide everything you need. It is important to keep temperature and humidity at appropriate levels for your herbs. Often, air is too dry indoors for herbs, so plants must be misted or their pots placed on trays full of pebbles with water poured into them. This will increase the humidity around the plants. If pests become a problem, you can prepare a spray bottle with soapy water and possibly Neem oil to spray the plants with until they’re dripping. Be sure to get the undersides of leaves too because that’s where the eggs usually are located. Once you find the best location for your herbs within your home, you will have a very successful indoor herb garden, and a wonderful source of herbs for your herbal needs.